COMMENTS: This top works very nicely. Does not leak. COMMENTS: This is a great cap and has no leak when using. COMMENTS: I got these with the natural malibu tottle bottles. They fit perfectly. The lotion doesnt leak. "Love these! Black sets off the natural bottle!!!" COMMENTS: These are very reliable with the way they snap down and no fears of them opening in the purse at all. The black adds such a nice touch of class to the whole bottle! COMMENTS: We use these caps with the 4 oz Malibu Tottles. They provide a sturdy base for the lotion bottle. We love that they don’t leak or pop open on accident. Our lotion is thick and the opening adequately allows our lotion to be squeezed out. The black cap gives our products a classy look, too! COMMENTS: These caps look great on the 4 oz. and 2 oz. Tottle bottles. Very classy looking, and they work great. "I think the black is so elegant!" COMMENTS: This is the top for the 2 oz malibu tottle and I love the contrast with the lotion color. It looks elegant. The opening is fine for lotions and waterless hand cleaners. It would be nice to have a little larger opening for thinner scrubs. I remove the lid altogether for my travel scrubs. COMMENTS: i use these for caps to mylotion bottles ! COMMENTS: Works very well. The product stands great on this top. COMMENTS: this cap is perfect for in shower body conditioners! Love it! COMMENTS: I use these with the malibu tottles for my lotions. Work great, no problems with dispensing the lotion and they look wonderful. COMMENTS: These caps work perfectly with the malibu bottles and look great, too! COMMENTS: I have switched to Malibu bottles using these flip tops! They are excellent! COMMENTS: I had purchase some malibu bottles on clearance/surplus that came with caps that didn't match my product line. I swapped them out with these caps for a uniform look. They are made well, no issues with sharp edges or poor molding. COMMENTS: Normally I like disk tops but must say that these black flip top caps are the bomb! The black color is attractive and pairs nicely with the malibu bottles. My thick lotion easily dispense through the opening. These do not leak either or pop open by mistake. I will buy again. COMMENTS: These flip top caps work perfect with our product every time! "Great top for malibu bottles!" COMMENTS: I really like this cap for my lotion Malibu bottles because it provides a sturdy base for them to stand up on. Slender caps from other companies allow the bottles to fall over easily. COMMENTS: This cap is a great quality cap, I use it with the small Malibu bottles for travel size lotions! Perfect! "Great on Malibu 2oz Bottle"
COMMENTS: I love this lid! Customer service pre-tested it for me to make sure liquids would be good in it. I currently am testing it with oil in it. No problems leaking. It is attractive. Will buy again. COMMENTS: I use these with the 4 oz malibu tottle bottles, perfect fit, disperses well...use it for both lotion and body butter. COMMENTS: Fits the Malibu Tottle bottles perfectly, never a problem! COMMENTS: I just started using this on my 2 oz malibu tottle bottles and love them. They fit the bottle nice and allows the lotion to come out nicely. Highly recommend them. COMMENTS: Love this lid! Fits pefect and looks very nice! • The lid lines up perfectly! COMMENTS: These are great with my squeeze bottles, for my Goats Milk Lotions. They screw on directly and have not leaked or popped off when using like some of the other companies caps have done. I really like these with our bottles. They are a great size and the amount that is dispersed is perfect. COMMENTS: I like this lid because it dispenses the lotion slowly. It tightens nicely on the bottle and is easy for my customers to use. COMMENTS: I really like using the Malibu Tottles. I use the different caps as one way to distinguish each lotion from another. The black cap is classy. COMMENTS: Works great for my lotions and body washes! Doesn't clog! COMMENTS: I loved these with the tottle bottles I purchased (originally for shampoo and conditioner) LOVE these for lotions as well! COMMENTS: Holds up to many, many flips. Very good product to use for thin or thick lotions & cremes. COMMENTS: I use these with the malibu tubes for lotion. Love them! 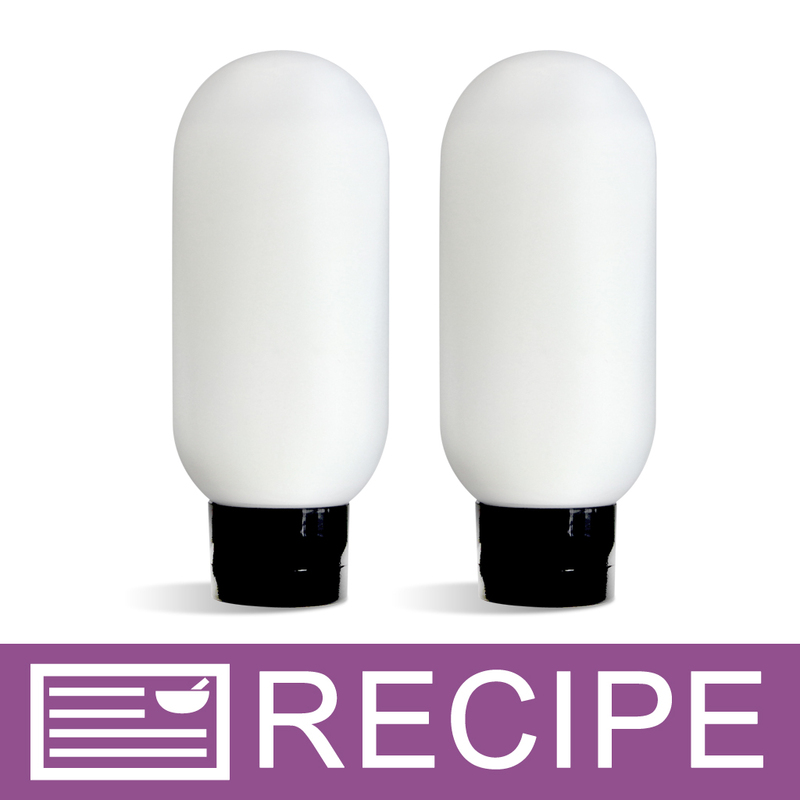 COMMENTS: My customers love these tops used in conjunction with Malibu lotion tubes. Stand on top allows lotion to always sink to the bottom so they can enjoy to the last squeeze. Never any problems with seal or leaking. COMMENTS: They work great for the lotions. Look good on the tubes. COMMENTS: The black really stands out on display. We've used for 3+ years for lotion. Great fit, price and appearance! COMMENTS: Tried others from other sites and this one is the best, best fit, best quality. COMMENTS: These tops are perfect for thin lotions. They dispense just the right amount and don't leak! "Will these lids work with your 8 oz. Malibu Tottle Bottles?" Staff Answer You would want to use the 22/400 caps - 2.0 inch. These are larger caps and will fit the bottle better than the 1.5 inch.